Always consult with your doctor before starting anything new. I always recommend treating every condition with natural remedies first but there are some conditions when natural remedies can’t help. Anxiety is a feeling of worry and nervousness, also it is a nervous disorder characterized by a state of excessive uneasiness and apprehension. This can lead to compulsive behavior or panic attacks. It is not possible to avoid anxiety completely and it is very normal to feel anxious when you are faced with some problem in your life, before exams, big life events and also when making an important decision. When someone is suffering anxiety disorder the problem is that the anxiety does not go away which can interfere with daily activities. 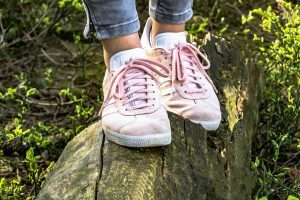 In this article, I won’t talk about signs and symptoms of anxiety disorder. This is something I learned while working with my clients. As a Gestalt therapist, I always recommend psychotherapy for people who suffer anxiety but there are also some home remedies for anxiety which I always recommend. If you hate that feeling of anxiety don’t worry. There are some home remedies for anxiety which can help you feel better. If something bad happened to you and you suffer this anxiety longer, then try these remedies as a daily routine. 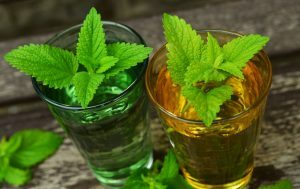 Lemon balm tea is one of my favorite natural remedy for stress and anxiety. I have this plant in my garden because I love how it smells when it is fresh. Follow the directions how to prepare the tea and then add few drops of lemon and honey in it. Don’t add sugar. This tea will help you to calm down and also this can help you to treat Insomnia if you take it before bed. Take one glass of this tea before bed so you can fall asleep better. Avoid taking this in the morning because you might feel sleepy. As a child my mum always gave me chamomile tea. I am not exactly sure why but this always helped me with my nervous stomach. 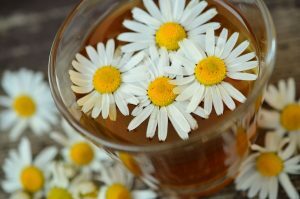 I will make some research soon why chamomile helps with anxiety but if you don’t like the lemon balm tea, then this is a good alternative which you can drink in the morning too because it won’t make you sleepy. I personally don’t like lavender oil and some swear that this oil is the best. But for me, this isn’t true. I believe that aromatherapy is a very personal thing. For me, home baked cookies, butter, and lemon is scents which help me feel better. I recommend my clients to explore which scents help them with the anxiety. For example, one client wanted to smell tangerine or orange and this was the only scent that helped him with anxiety. Be very careful with smells because there are some which may trigger something and then you will have to visit a therapist. This happened to me once and that is why I avoid perfumes and try to stick with baking cookies or bread at home and drinking lemons. This is something which is very important to include in your diet especially vitamin B6 which can help you a lot. Take vitamin B6 before going to bed because it will help you to fall asleep. Eating healthy will help you with everything not only with anxiety so always take care for your health. 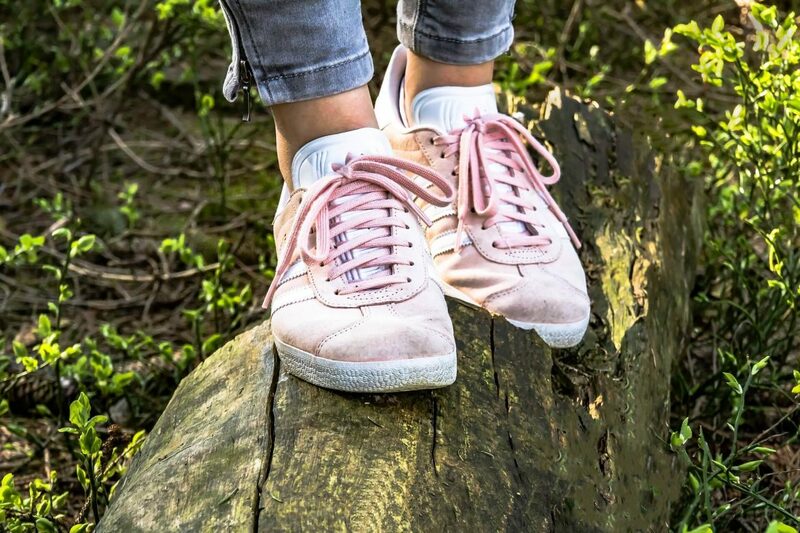 Walking is something that will help you and your body to treat anxiety. If you own a dog then you can walk every day. Also, pets are a great company. Try walking at least 10 minutes every day and I am sure you will notice a difference. When I am anxious and have time, I always walk alone and think. This is my way of meditation and listening to my body. I don’t exercise these days but if you can then gym is the right place for you. Exercise will also help you to naturally get rid of anxiety and to clear your mind. I stick to walking because I am very lazy, but if you have kids, or just don’t have time or money to go to the gym then take your kids, pets, or just go alone and walk. 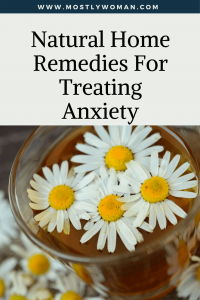 Yes, I put some home remedies for anxiety but I think that every person is different and that is why this step is most important. Listen to your body. What does it tell you? What do you want to do? What do you want to eat? Every person knows what to do when is not feeling well, you just have to listen. Maybe ice cream will be a better remedy for you or swimming. Or maybe listening to music, or writing. Let me know what you think. What do you do when you are anxious? Consult with your doctor before starting a new way of a treatment. It’s a great way to help me. “Listen to your mind and body” I love the fact that you emphasize that the mind and body need to be heard. They guide us but we rarely pay any attention to them. Thank you for the helpful tips. Thanks so much for this article. My fiancee gets some bad anxiety, but the medication (to be used when needed) makes him soooo tired. These remedies will be perfect, can’t wait to incorporate into our daily routine. Thank you Sam, I really hope that these remedies will help your fiancee. Try making him lemon balm tea more often.